Fantastically floral IPA with Simcoe, Citra and Centennial hops - What's your sign? Ca brasseur est décidément hors du commun. Zodiak IPA is a veritable feast of flowers, thanks to a trio of hops; Simcoe, Citra and Centennial. 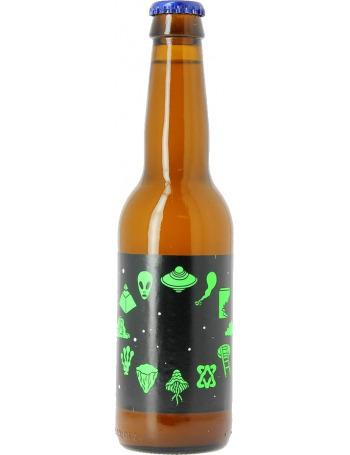 Brewed by award-winning Swedish brewers Omnipollo, this India Pale Ale is smooth and light, pouring a hazy gold with a medium broken white head. The nose is generously hopped with citrus, mango and lemon scents. The taste is a crisp mix of floral hop notes, with grapefruit, orange zest, peach and citron flavours giving on to a pleasingly bitter, dry finish. A quality IPA for hop fans!